West Sacramento, CA – It was a back and forth battle between Pacific Coast League bullpens Thursday night as the Round Rock Express (47-45) took the 6-5 win over the Sacramento River Cats (38-54) in 12 innings. After falling into a July slump, Clayton Blackburn looked to break his three game losing skid with a fresh start coming out of the All-Star break. However, the young right-hander struggled through the first inning and gave Round Rock the early 3-0 lead off three hits and a wild pitch. He later settled in for four scoreless innings, retiring the side in the fourth with three-straight flyouts before an injury removed him from the game in the bottom of the sixth. He finished with 5.1 innings, allowing three runs on six hits with five strikeouts and a season-high four walks. Sacramento’s offense struck back in the fifth with a long home run from the Triple-A All-Star Gorkys Hernandez, who steamed straight past the Express defense with a two-run homer to tie the game at three. The centerfielder entered tonight hitting .279 with runners in scoring position with two outs and proved again tonight his ability to capitalize on clutch situations. He went 1-for-3 on the night with a run, a walk, and 2 RBI and remains the RBI-leader for Sacramento with 39 on the year. Manager Jose Alguacil looked to his bullpen to quiet the Round Rock bats and secure the win, but could not quite find what he needed. With the veteran Mazzaro on the mound in the eighth, Round Rock broke through the tie with a two-run double from Doug Bernier with two outs to push the score to 5-3. The Cats were not finished just yet. 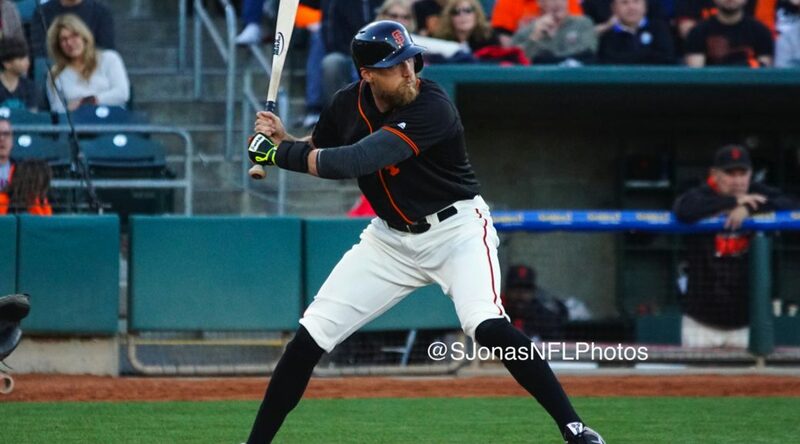 Travis Ishikawa was hit by a pitch for the second time in the game to lead off the ninth and was followed by a double from Andrew Susac to put two runners in scoring position with no outs. Austin Slater then cut the deficit with an RBI groundout and Chris Denorfia followed with a sacrifice fly to bring in the tying run. 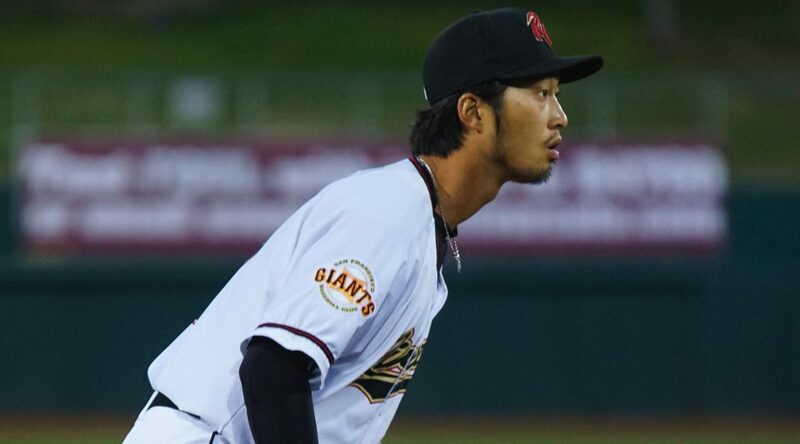 The battle of the bullpens continued as the River Cats used a total of seven relievers. Inning after inning, the defense shut down the Express offense, forcing the game into 12 innings. Combined, the pen allowed three runs on seven hits over 5.2 innings of work. 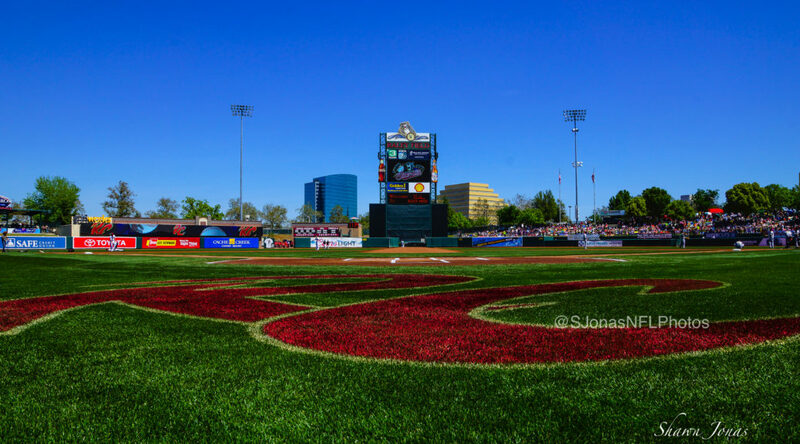 However, it was River Cats who lost again in heartbreak fashion in the bottom of the twelfth. A leadoff double followed by back-to-back base hits loaded up the bases with no outs for Jake Dunning. The right-hander just couldn’t hold on and finished the game by walking in the winning run for Round Rock. The River Cats look to halt the “E-Train” tomorrow in game two with left-hander Adalberto Mejia (1-1, 4.81) on the mound. He faces off against Round Rock’s righty Nick Martinez (6-4, 4.50). First pitch is set for 5:05 p.m. (PT) and the game can be head live online at rivercats.com and on the air on ESPN 1320.